Last fall South Pasadena opened the short (less than a mile) but relatively wide and landscaped Arroyo Seco Bicycle and Pedestrian Trail. Now, there’s an effort to close an approximately 1,000-foot gap between the new path and the longer Arroyo Seco Bicycle Path that runs along the cement-lined river channel in Los Angeles. Councilmember Jose Huizar is asking the city to develop a plan for connecting the two paths with decent pavement. Currently, South Pasadena’s newly extended Arroyo Seco Bicycle and Pedestrian Trail starts as a sidewalk at Stoney Drive, across the street from South Pasadena Dog Park. The bike lane joins it just south of the tennis courts, and it now proceeds to run well south of the golf course. 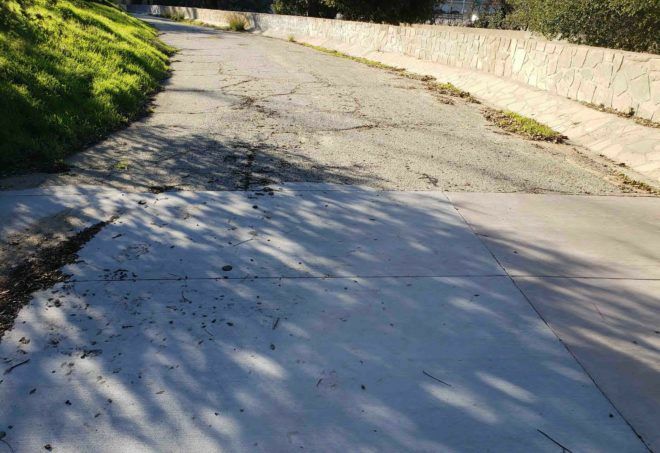 But about halfway between the York Boulevard bridge and the south end of the driving range, the new pavement abruptly gives way to older, cracked asphalt, which ultimately crumbles into a dirt road before emerging by the Arroyo Seco Stables. 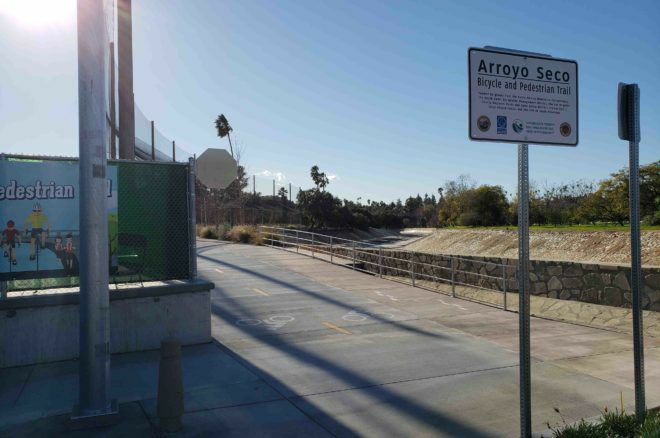 It’s right about there that L.A.’s Arroyo Seco Bike Path has an entrance. The cost, designs and schedule for covering that gap still need to be determined, said Huizar’s spokesman, Rick Coca. Huizar’s motion asks for the Department of Transportation to develop a plan for building the bike path segment, and also for the Bureau of Engineering to acquire the necessary property rights for the project. Where the new, smooth South Pasadena path ends.